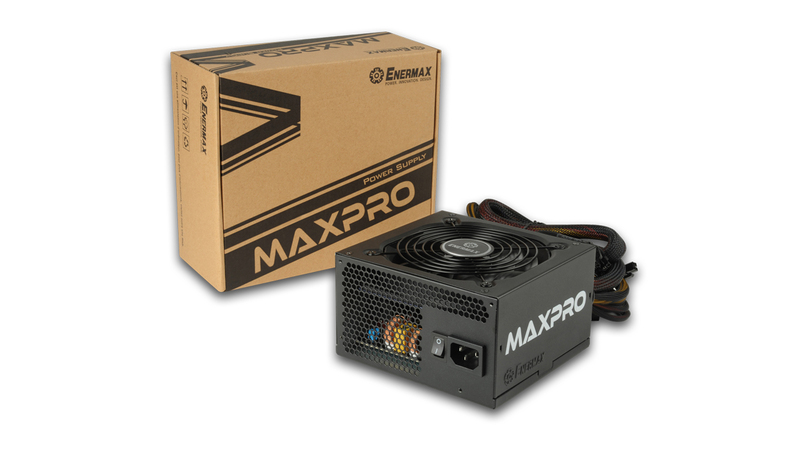 The Enermax MAXPRO series is one of Enermax’s longrunner power supplies. Developed specifically for the European market, MAXPRO is characterized by low noise and efficient operation. With 87% peak efficiency (80 PLUS® 230V EU certified) and a standby consumption of less than 0.5 watts, the power supply meets the latest eco-design regulations of the European Union. 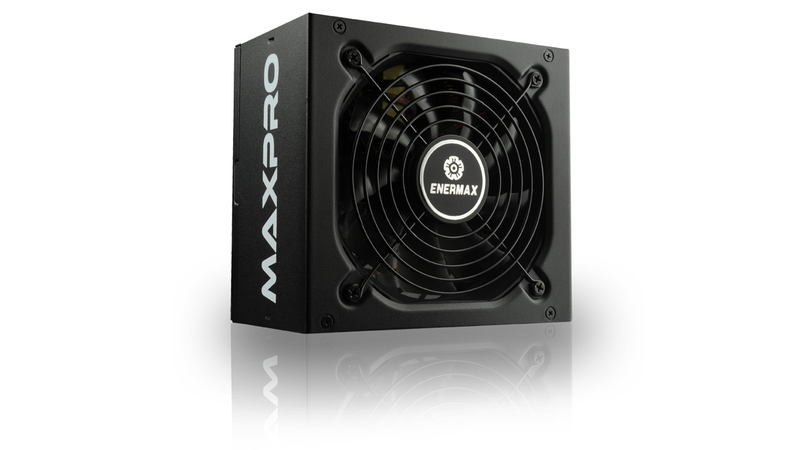 The 120 mm fan with the patented Twister Bearing ensures quiet and efficient cooling. The integrated HeatGuard technology keeps the PSU fan running for a few second after shutdown to dissipate the remaining system heat, the SafeGuard multiple safety system protects the power supply and system from overcurrent, overvoltage, short circuit, etc. 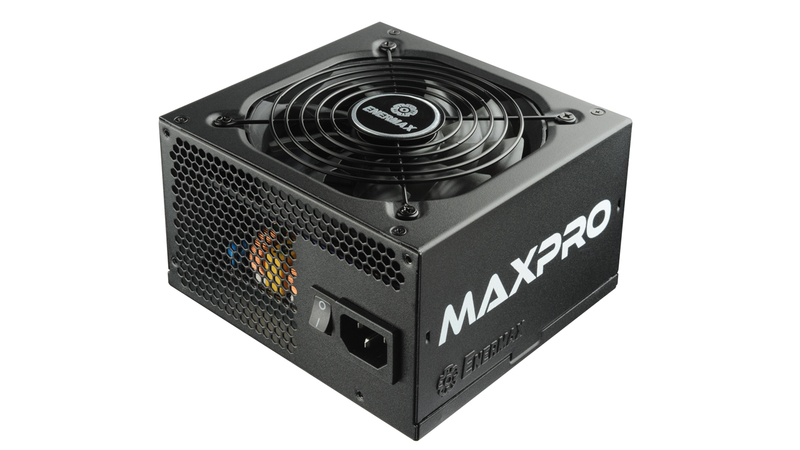 The MaxPro power supplies are true longrunners and are designed for 24-hour continuous operation at an ambient temperature of 40°C. Over 87% efficiency at 230VAC between 20 and 100% load. 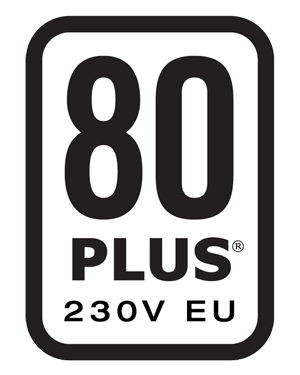 MaxPro is 80PLUS® 230V EU certified. 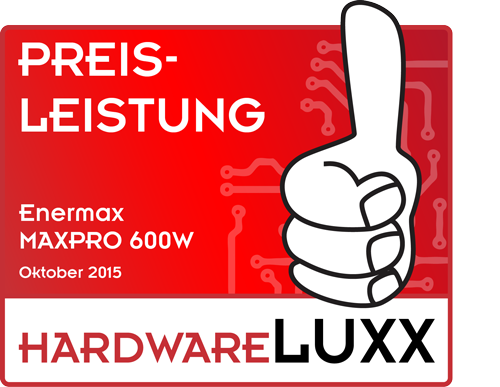 MaxPro helps systems to meet the EU eco-design directive 2013 ErP Lot 6 and 2014 ErP Lot 3 (< 0.5W in standby mode*) due to a high-efficient 5V standby (+5Vsb) circuitry. Moreover it supports the EU regulation no. 617/2013 demanding amongst others 85% efficiency at 50% load and 82% at 20% and 100% load. 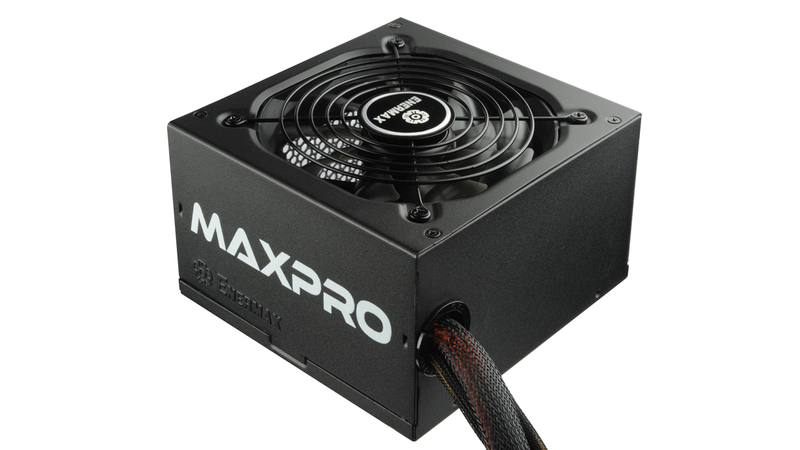 One stable 12V rail to empower high-performance processors and graphics cards. 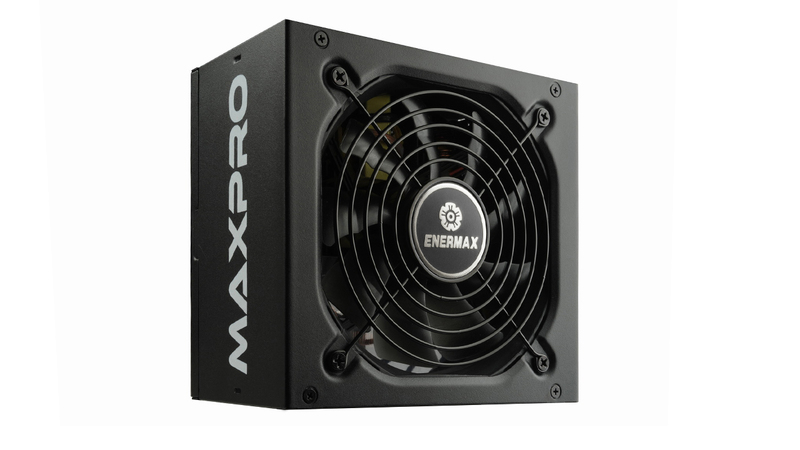 The integrated 12cm Enermax fan with patented Twister Bearing™ technology ensures an efficient and continuously silent cooling and long lifetime with up to 160,000 hours MTBF. Silent and powerful cooling performance due to the advanced and intelligent SpeedGurad fan control. The HeatGuard function keeps the PSU fan running for 30-60 seconds after shut down to dissipate the remaining system heat and prolonging the components lifetime. The patented AirGuard inlet with optimal aero-dynamical design reduces noisy air turbulences. 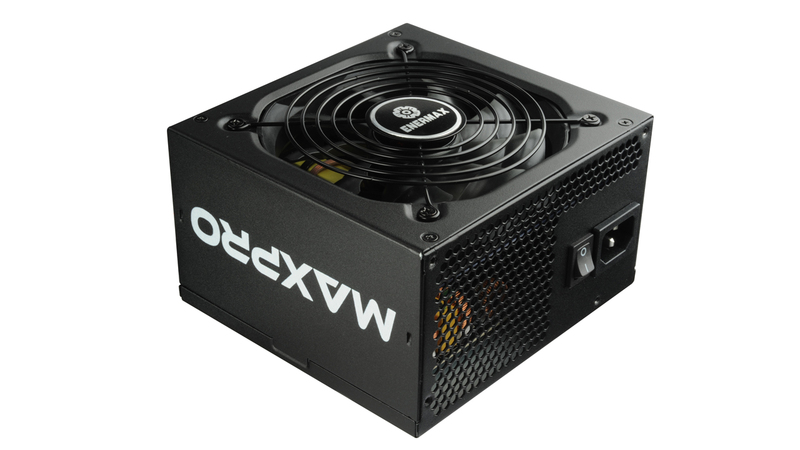 Intel® ATX12V v2.3, compliant with the Intel Power Supply Design Guide for Desktop Platform Form Factors Revision 1.1. Full support of the C6/C7 energy-saving functions of Intel® processors, first introduced with the Haswell™ generation. Designed for Europe with 230VAC input and up to 0.99 with active Power Factor Correction (PFC). 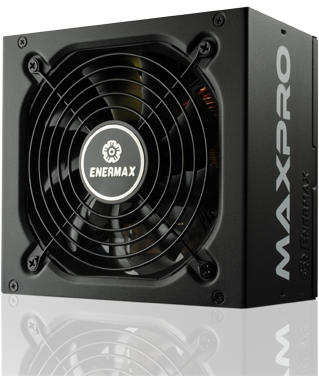 Enermax uses high-quality components including first-class Japanese 105°C main electrolytic capacitors for maximum stability and durability. Enermax SafeGuard, the multiple protection circuit that keeps the power supply and the system safe from damage by short circuit (SCP), over voltage (OVP), over current (OCP), over power (OPP) as well as surges and inrush current (SIP). Non-Stop 24/7 industrial class performance. 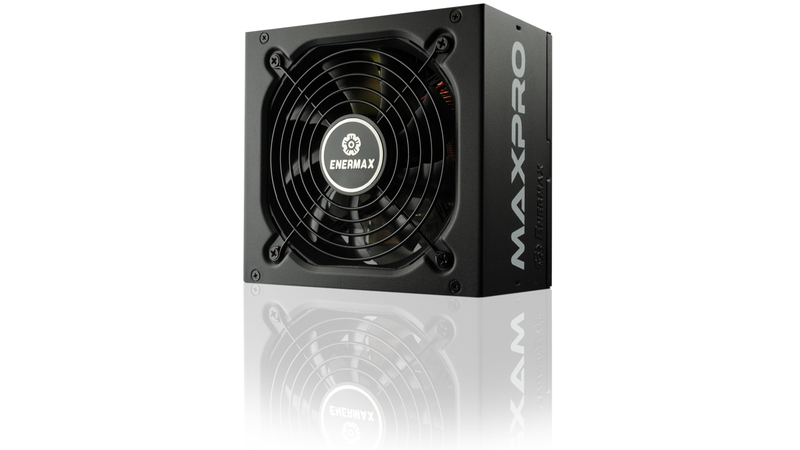 Full rated power output at 40°C ambient temperature. *SCP: short circuit protection, OVP: over voltage protection, OCP: over current protection, OPP: over power protection, SIP: surges and inrush current protection. This product has no video. Enermax Europe использует файлы cookie. Продолжая использовать наш веб-сайт, вы принимаете использование файлов cookie. Узнать больше.